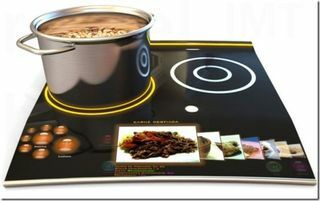 Home > Technology > “Dig This Design” Brings You the Latest in Cooking Technologies! 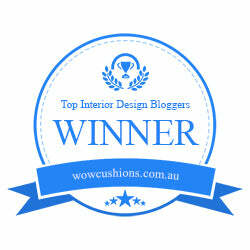 “Dig This Design” Brings You the Latest in Cooking Technologies! WOW! Check this out…a wireless cook top! Think of the possibilities with this! No cooktop in the kitchen! You can put it in the drawer when it’s not in use thus creating a seamless countertop! Don’t get too excited just yet though. This is a prototype by Brazilian designer, Rafael Augusto Berloffa. 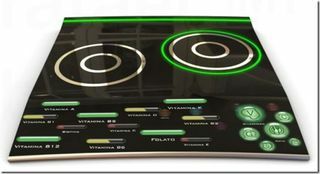 This concept cooktop, Lunaris, is an induction cooker…wireless, mobile and modular. The features are permitted by an OLED interface. In addition to the control of the cooking time and temperature, they allow the internet connection to provide you with instant recipes, diets and advice on how to present the dishes. With creatively smart designers like Rafael, it’s no wonder appliance technology is changing and improving every day. Let’s see what is ACTUALLY new and available in today’s world of technology. Fast food does not always mean poor quality food, as was once thought. Now with the invention of speed cook technology, the meaning of fast food equates to saving time in preparing a meal WITHOUT the loss of quality. The science behind this type of cooking blends forced air convection with microwave radiation, creating the ultimate in cooking technology. What does this mean? Super heated air is forced over the food to brown the outside for taste and appearance and at the same time, microwave energy is added to penetrate the food and heat it evenly before the circulated air can penetrate it. I had the pleasure of cooking with the GE Advantium at the headquarters of GE Monogram in Louisville, Kentucky last month. I was impressed with the ease of using this oven without any experience in working with a speed cook oven before. It was really simple! I was able to select from a computer menu…select “biscuits”, hit start, and the smart oven knew exactly how to bake the perfect biscuits. I also used the microwave to reheat my coffee and it operated just like a regular microwave which I was quite familiar with being a working mother. Combination steam ovens combine steam with conventional cooking methods, all in one oven. This means you can steam cook a chicken in 20 minutes and then change the mode to conventional fan-forced cooking to brown the skin, so that it looks as good as it tastes. Steam cooking offers a whole slew of benefits that include faster cooking times, retention of vitamins, nutrients, flavor, color and texture. When you steam your food, your food only absorbs the moisture it requires which means no over cooking. This type of cooking has huge health benefits because you do not need to add any oils or fats to keep food from drying out in the cooking process. Miele Combination Seam Oven seems to be a favorite of my clients. 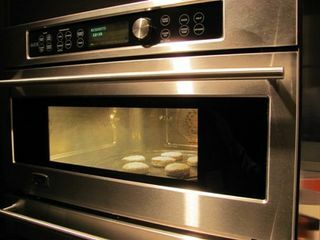 The Miele integrated steam oven, DGC 5080 comes with a fan which distributes hot air inside for uniform baking and roasting results. The Moisture Plus sensor regulates the humidity levels so whatever you cook, arrives to your table prepared in the most moist and succulent way. 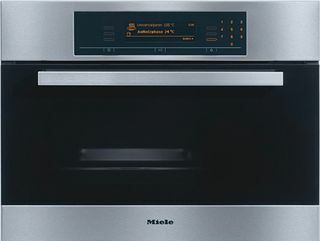 Miele equips this programmable combi steam oven with electronic clock, delay start, menu driven multi-lingual Navitronic touch controls, recommended temperatures, steam reduction function and external steam generator. With over 140 different automatic programs to choose from, you can bake and steam everything you want in any eatable way. The most popular selections are Cook Universal Pressure with 101 – 120°C temperature range, Cook Universal with 50 – 100°C temperature range, Cook Fish, Cook Vegetables, Cook Meat and Poultry, Reheat, Defrost and Descale. To make your life even easier, User Favourites stores up to 30 of your favourite recipes. The 30 litre integrated combi steam oven has 6 shelves, in-floor heater element, halogen lighting, grease filter, rack, food probe and comes in aluminium, black, stainless steel and titanium finishes. A kitchen equipped with these innovative technologies is just what the doctor ordered for a busy household. No more having to prepare dinner the night before when you can use today’s advances in technology and create an entire dinner in no time flat. The coolest thing about the latest appliances is that they are designed as cooking for dummies…they practically do it all for you. GE – Imagination at Work in Louisville, Kentucky! is Lunaris available in the market?